"Please note: This product contains Sulphur Dioxide or Sulphites (>10mg/kg total SO2). This product contains Egg and Egg products, Milk and Milk products "
Waitrose Blueprint wines are crafted to reflect the world's classic regions and styles. 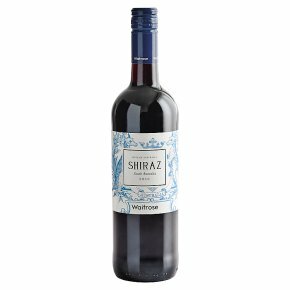 This is a rich and fruity red, full of deep blackberry flavours with a twist of black pepper and a soft, smooth texture. It's ideal with red meats, sausages or rich pasta sauces.